Metropolitan Water District of Southern California (MWD) has depended on our Right of Way services for numerous projects. 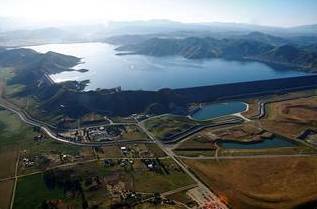 For the Diamond Valley Lake Reservoir Project, the largest reservoir in Southern California at 880,000 feet-acres, we provided mineral ownership search and title clearance for 10,000 acres of reservoir and mitigation lands. Land acquired for the project exceeded $360,000,000.